White and wood never fail to look phenomenal together, and we've found 7 incredible homes that prove the point to perfection! Interior designers have long been combining these fantastic natural tones through careful material selection, and every single room in your home could benefit from the mellow yet impactful effect! If you've been trying to think of a way to upgrade your bedroom, add extra organic flavour to your kitchen or simply liven up your living room, wood and white could be the answer to your design prayers, so come and take a look and see which style tempts you the most! 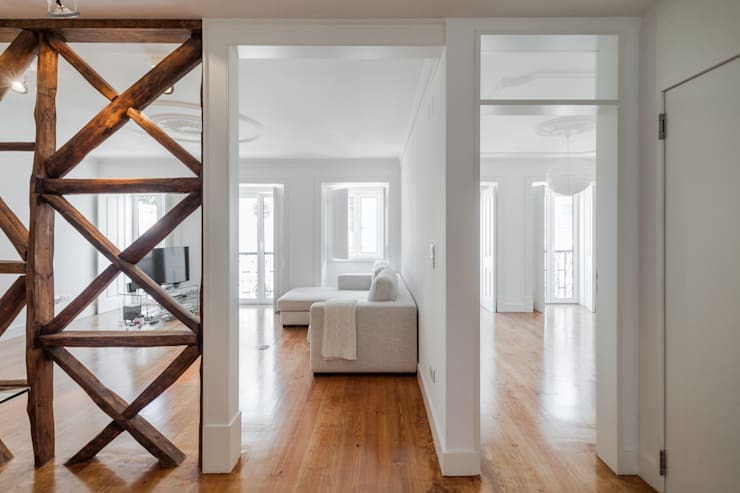 In this wonderful home, you'll see that white and wood are perfectly balanced, with neither one overshadowing the other, but instead, both harmoniously co-existing. Wooden wall inserts and flooring complement the white walls and furniture to perfection and look so chic! Perfect for a minimalist home! What we really love about this room is the use of wood for the flooring, television stand, coffee table and sofa plinth. Next to the white walls and sheer gauze curtains, the wooden elements look warm and soft and prevent a sterile feel from creeping in. Delightful! 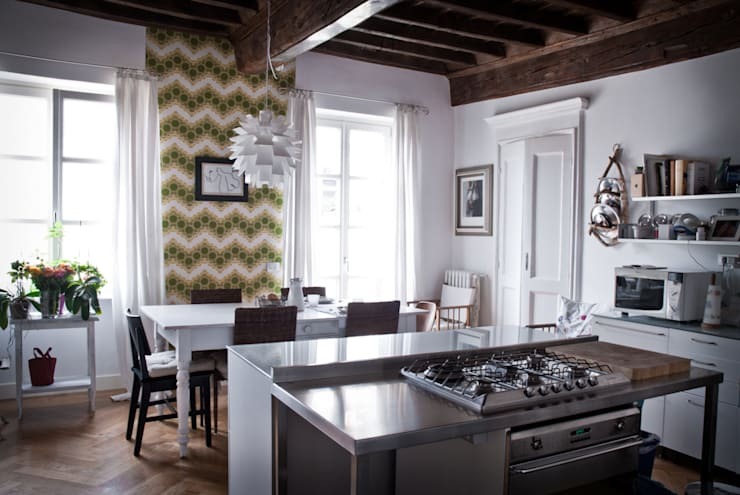 Combining rustic and modern aesthetics can seem like a juxtaposition, but when done well, it works so well! Just look at how incredible the exposed roof looks here, with white paint keeping the scheme fresh and modern, while a vintage sideboard reminds you that wood is a key material in the space. 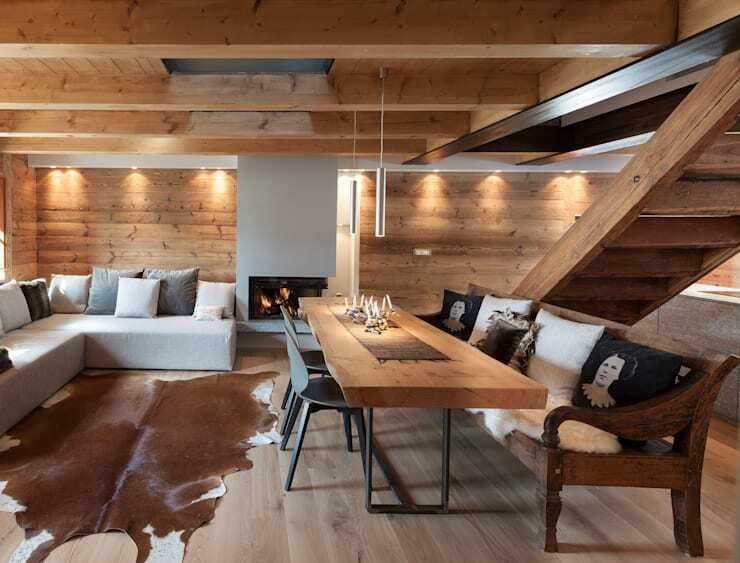 While white is usually the main colour, with wood acting as a contrast, here we see wood taking centre stage! Breaking up the vast amounts of organic material with some subtle white cushions and a super comfortable sofa, it goes to show that white can be the accent and still look impactful and chic. 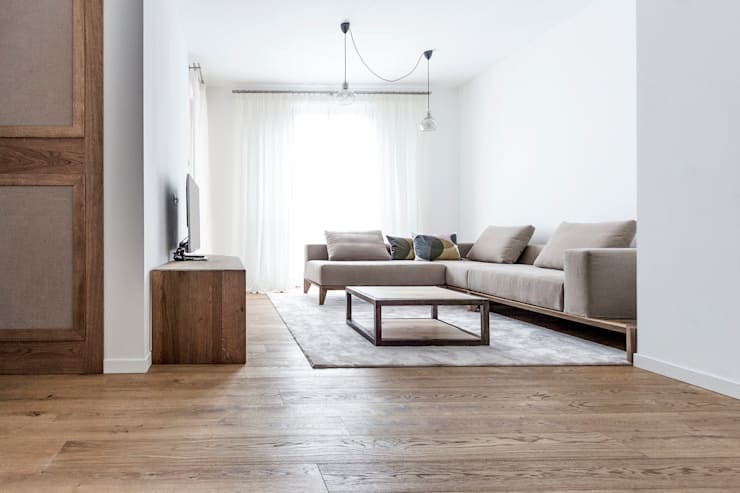 We see a lot of natural, pale wood and white together, but rich dark wood and white is still a little more unusual, as the contrast is so much more striking and reminiscent of monochromatic interior schemes. In this room, the heritage roof looks perfect next to crisp white walls and furniture and let's be honest; parquet never looks out of place! 6. Variations on a theme. The wonderful thing about wood is that it comes in such a wide variety of styles and shades. All of them look terrific with white and can all be combined to create a stylish, chic and warm home that is as modern as you want it to be. We love the use of pale wood on the furniture here, which blends seamlessly with a darker mezzanine and the bright white walls. How's this for a perfect kid's bedroom? 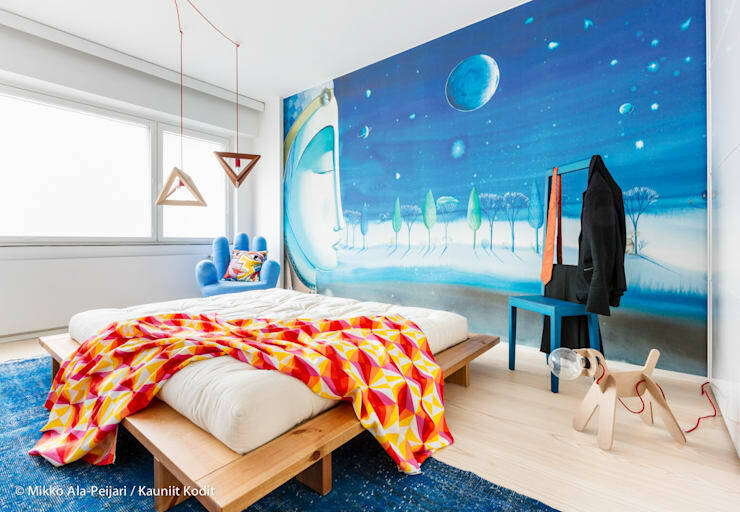 A low, Scandinavian-style bed with a white futon cushion look great against the white wall and with super pale wooden flooring in place too, the neutral bases are all in place to naturally accept a daring mural wall too. So fun! 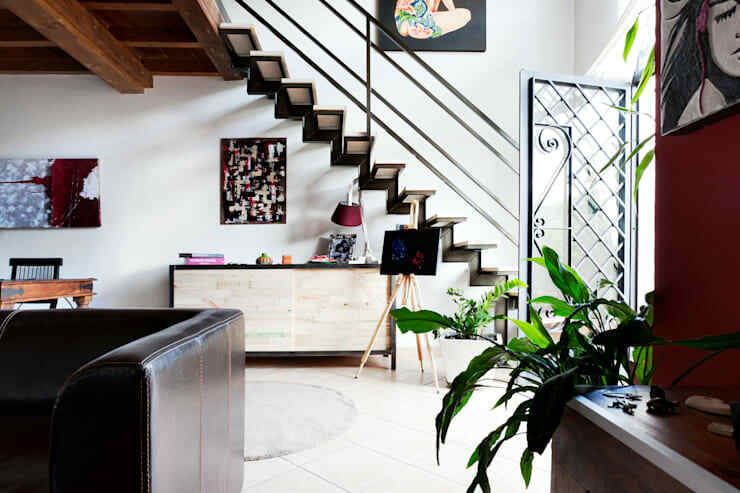 For extra white interior inspiration, take a look at this Ideabook: homify 360° – An all-white space in a Brussels suburb. Which of these styles appealed to you the most?